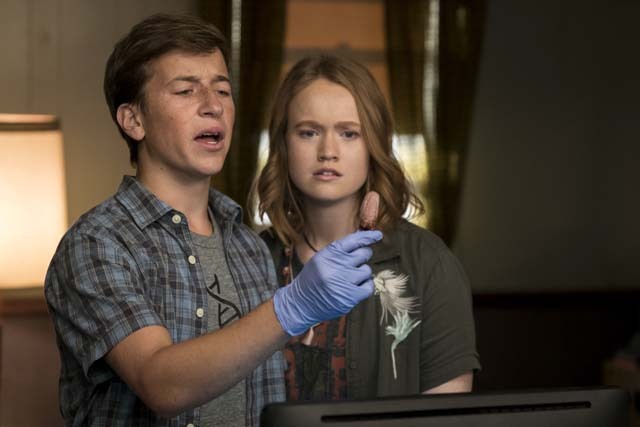 Netflix has released a series of first-look photos for the upcoming second season of hit comedy series Santa Clarita Diet, which premieres on 23rd March 2018. 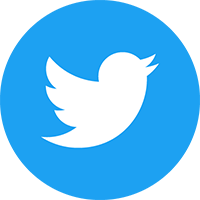 The show, which stars Drew Barrymore and Timothy Olyphant, has added Joel McHale (The X-Files) and Maggie Lawson (Psych) to the cast as Chris and Christa. 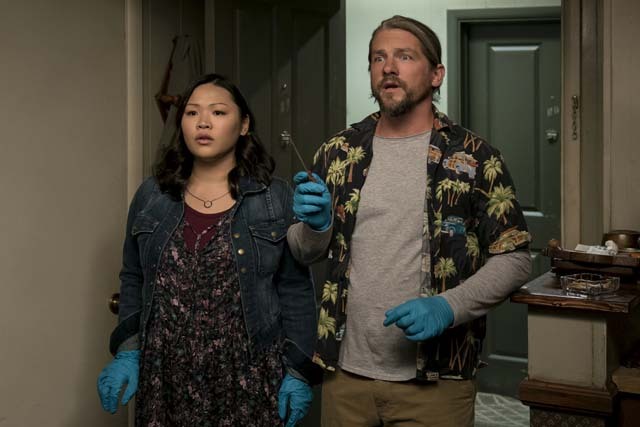 The married realtors live in Santa Clarita and are described as a ‘more successful, more aggressive version of Sheila (Barrymore) and Joel (Olyphant)’. 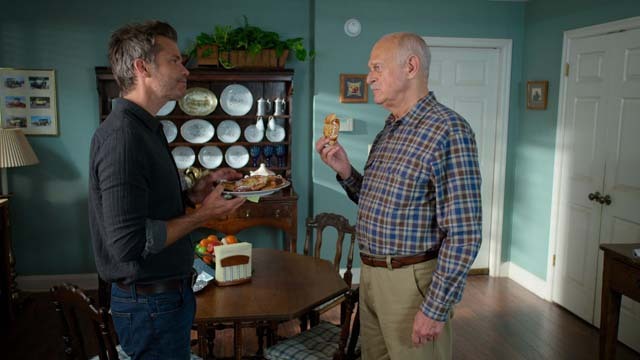 Season 2 will also feature guest stars Gerald McRaney (This Is Us) as Ed Thune, a retired army colonel who Joel finds very intimidating, and Zachary Knighton (Happy Endings) as Paul, the chill descendent of Serbian ancestors who has been tasked with pursuing the truth of the undead, no matter who or what stands in his way. 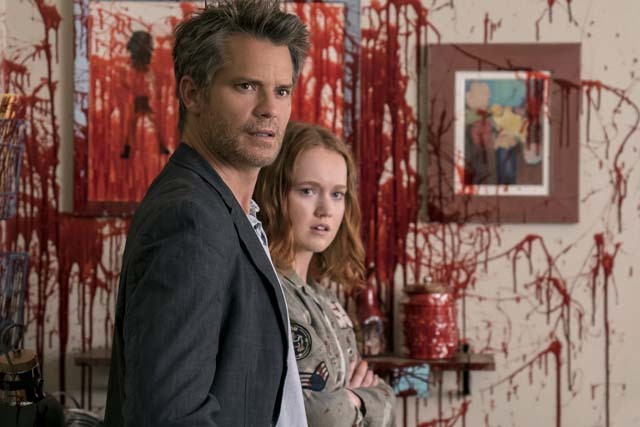 Picking up right where we left off, Season 2 of Santa Clarita Diet finds the Hammonds trying to adapt to Sheila’s now-advanced undead state – even though she’s desperately working to hold on to her suburban lifestyle and not be defined as just another monster. Unfortunately – while the family has become markedly better at murder – the number of missing people in Santa Clarita is starting to pile up and it’s no longer going unnoticed. Meanwhile, the Hammonds are chasing the source of the virus so they can stop it from spreading and save humanity – which seems important. Through it all, Sheila and Joel are grounded by their unconditional love for one another. Sure, being undead – or loving someone who is – isn’t always easy, but don’t all relationships have their challenges? For more information on the show head over to netflix.com/santaclaritadiet.